Frank G. Pérez, Ph.D., is an Associate Professor of Communication and Research at the University of Texas at El Paso (UTEP). 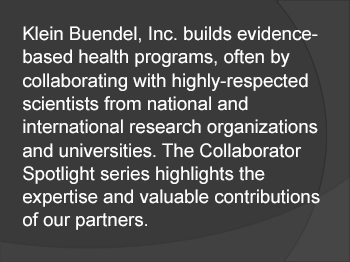 He is currently a collaborator working with Klein Buendel scientists, Dr. Gill Woodall and Dr. David Buller, on WayToServe® Español: A Culturally-Appropriate Online Responsible Beverage Service Training for Spanish-Speaking Servers project, funded by the National Institute on Minority Health and Health Disparities. Dr. Pérez will assist with the creation of culturally-appropriate content and the translation of the WayToServe online training program into Spanish and to ensure the translation is compatible with the needs and values of alcohol servers in Spanish language-dominant bars and restaurants. The randomized control trial will take place at Spanish-dominant businesses in the Southwestern region of the United States. 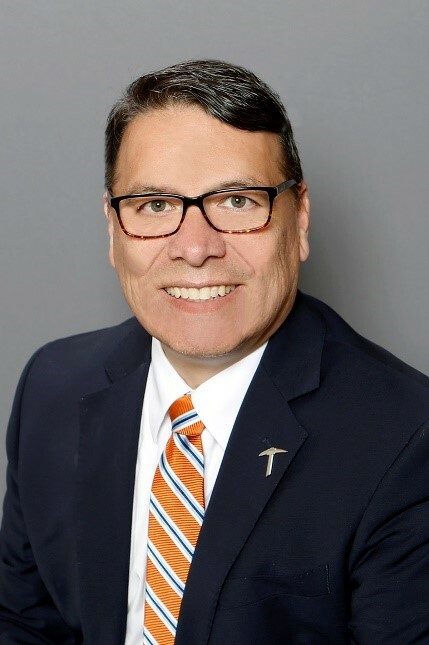 At UTEP Dr. Pérez ’s research includes Intercultural communication, popular culture, Chicano studies, identity issues and the Master of Leadership Studies programs. He also conducts research in intercultural health with a focus on Latina/Latino populations in relation to alcohol use. He is also the lead instructor of the UTEP-Rare Mater of Arts program, an internationally based program that allows environmental conservation professionals from throughout the developing world to earn a Master of Arts. Students first complete a year of coursework in communication followed by the development, implementation, management, and evaluation of a one-year environmental conservation campaign, often in a rural community. Dr. Pérez has recently completed a book-length manuscript on the fantasy heritage of Spanish colonizer Juan de Oñate in Southwest tourism. The manuscript examines tourism and how it erases and/or marginalizes Mexican/Americans from memory at popular tourism sites in the Southwest. Dr. Pérez’s research has also appeared in Communication for Development and Social Change Journal, Western Journal of Communication, Communication Yearbook, Aztlán: A Journal of Chicano Studies, and other scholarly outlets.